Fancy a flavour of South America while you visit the New Forest this summer? 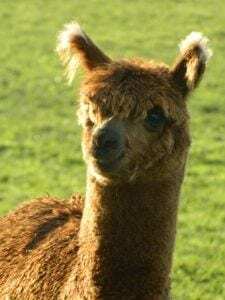 We have teamed up with Fairmeads Farm to bring our customers the opportunity to stay in the heart of the New Forest and walk with one of six adorable Alpacas. Fairmeads Farm is just 20 minutes’ drive from our hotel. There are six Alpacas trained to walk around their fields: Boston, Bamf, Berty, Gandalph, Harry, Denver and Whistler. All halter-broken, and happy to walk beside you as you lead them. These charming Alpacas are owned by Mrs Carolyn Brain and cared for by her lovely friend Mandy. Mandy is the one who will be walking with you around the farm field with the Alpacas. From April to October (weather and social diary permitting). Spending 30 minutes with these delightful Alpacas will fly by. After you have fed them carrots and got to know them, you can lead your Alpaca for a little walk through the fields at Fairmeads. Along the way you may meet goats, chickens and horses. All of whom will probably want to say hello. Want to spend longer? No problem. The Alpacas are happy to walk with you for up to an hour. If you want to book your walk, call Mandy on 07880 935923 after you book your room.